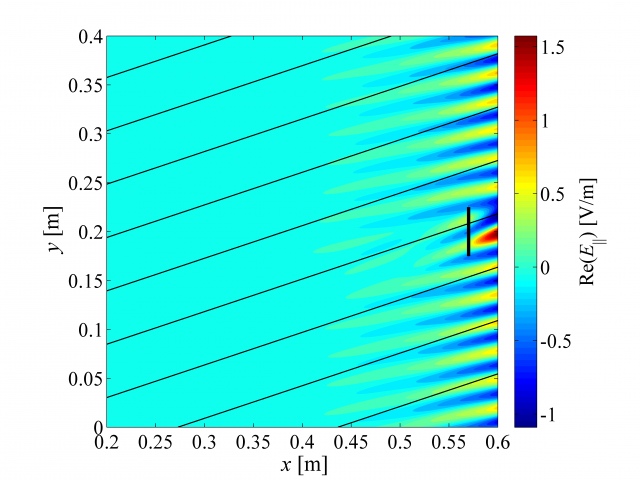 (1) H. Kohno, J. R. Myra, “Radio-frequency wave interactions with a plasma sheath in oblique-angle magnetic fields using a sheath impedance model,” Physics of Plasmas, 2019, Vol. 26, 022507. (3) H. Kohno, J. R. Myra, “A finite element procedure for radio-frequency sheath-plasma interactions based on a sheath impedance model,” Computer Physics Communications, 2017, Vol. 220, pp. 129-142. (4) Haruhiko Kohno, “A mixed-interpolation finite element method for incompressible thermal flows of electrically conducting fluids,” International Journal for Numerical Methods in Fluids, 2017, Vol. 83, pp. 813-840. 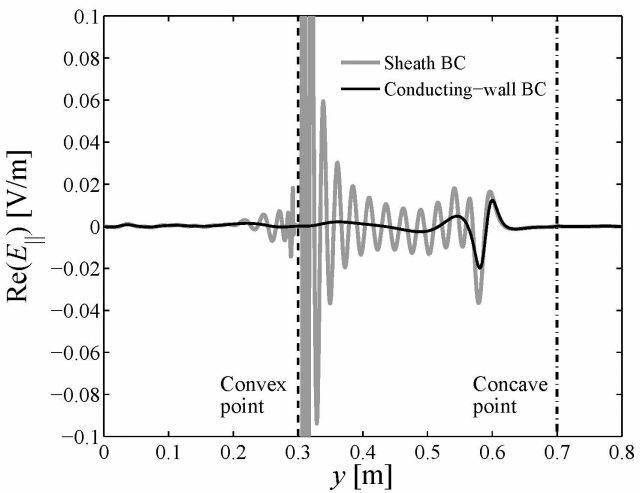 (5) H. Kohno, J. R. Myra, D. A. D’Ippolito, “Numerical investigation of fast-wave propagation and radio-frequency sheath interaction with a shaped tokamak wall,” Physics of Plasmas, 2015, Vol. 22, 072504; Physics of Plasmas, 2016, Vol. 23, 089901 (erratum). (6) Haruhiko Kohno, “An efficient, high-order finite element method using the nodal averaging technique for incompressible fluid flows,” Computer Physics Communications, 2015, Vol. 195, pp. 68-76. (7) H. Kohno, J. R. Myra, D. A. D’Ippolito, “Radio-frequency sheath-plasma interactions with magnetic field tangency points along the sheath surface,” Physics of Plasmas, 2013, Vol. 20, 082514. (8) Haruhiko Kohno, Jean-Christophe Nave, “A new method for the level set equation using a hierarchical-gradient truncation and remapping technique,” Computer Physics Communications, 2013, Vol. 184, pp. 1547-1554. (9) H. Kohno, J. R. Myra, D. A. D’Ippolito, “A finite element procedure for radio-frequency sheath-plasma interactions in the ion cyclotron range of frequencies,” Computer Physics Communications, 2012, Vol. 183, pp. 2116-2127. (10) H. Kohno, J. R. Myra, D. A. D’Ippolito, “Numerical analysis of radio-frequency sheath-plasma interactions in the ion cyclotron range of frequencies,” Physics of Plasmas, 2012, Vol. 19, 012508. (11) Haruhiko Kohno, Klaus-Jürgen Bathe, John C. Wright, “A finite element procedure for multiscale wave equations with application to plasma waves,” Computers & Structures, 2010, Vol. 88, pp. 87-94. (12) H. Kohno, S. Molokov, “Interfacial instability in aluminium reduction cells in a vertical magnetic field with a transverse gradient to the sidewall,” Physics Letters A, 2007, Vol. 366, pp. 600-605. (13) Haruhiko Kohno, Sergei Molokov, “Finite element analysis of interfacial instability in aluminium reduction cells in a uniform, vertical magnetic field,” International Journal of Engineering Science, 2007, Vol. 45, pp. 644-659. (14) Haruhiko Kohno, Klaus-Jürgen Bathe, “A nine-node quadrilateral FCBI element for incompressible fluid flows,” Communications in Numerical Methods in Engineering, 2006, Vol. 22, pp. 917-931. (15) Haruhiko Kohno, Klaus-Jürgen Bathe, “A flow-condition-based interpolation finite element procedure for triangular grids,” International Journal for Numerical Methods in Fluids, 2006, Vol. 51, pp. 673-699. (16) Haruhiko Kohno, Klaus-Jürgen Bathe, “Insight into the flow-condition-based interpolation finite element approach: solution of steady-state advection-diffusion problems,” International Journal for Numerical Methods in Engineering, 2005, Vol. 63, pp. 197-217. (17) Haruhiko Kohno, Takahiko Tanahashi, “An application of GSMAC-FEM to coupled natural and Marangoni convection in a square cavity,” International Journal of Computational Fluid Dynamics, 2005, Vol. 19, pp. 329-335. (18) Haruhiko Kohno, Takahiko Tanahashi, “Numerical analysis of thermal melt flow and melt/solid interface shapes in the floating zone method,” International Journal of Computational Fluid Dynamics, 2005, Vol. 19, pp. 243-251. (19) Haruhiko Kohno, Takahiko Tanahashi, “Numerical analysis of deformed free surface under AC magnetic fields,” International Journal for Numerical Methods in Fluids, 2004, Vol. 46, pp. 1155-1168. (20) Haruhiko Kohno, Takahiko Tanahashi, “Numerical analysis of moving interfaces using a level set method coupled with adaptive mesh refinement,” International Journal for Numerical Methods in Fluids, 2004, Vol. 45, pp. 921-944. (21) 河野 晴彦，棚橋 隆彦，「微小重力場におけるFZ法単結晶成長問題（第2報，コイルの位置・巻き数，および表面張力に依存する液柱変形挙動）」，日本機械学会論文集（B編），2003年8月，69巻684号，pp. 1746-1753. (22) H. Kohno, T. Tanahashi, “Three-dimensional GSMAC-FEM simulations of the deformation process and the flow structure in the floating zone method,” Journal of Crystal Growth, 2002, Vol. 237-239, pp. 1870-1875. (23) 河野 晴彦，棚橋 隆彦，「GSMAC-FEMによる大口径CZ法融液内の熱流動のLES解析」，日本機械学会論文集（B編），2002年4月，68巻668号，pp. 1044-1051. (24) 河野 晴彦，棚橋 隆彦，「微小重力場におけるFZ法単結晶成長問題（自由表面にLSMを適用したHybrid FEM-BEMによる3次元流動解析）」，日本機械学会論文集（B編），2001年6月，67巻658号，pp. 1408-1415. © Copyright 2009-2010 Department of Brain Science and Engineering All Rights Reserved.